PARIS -- A gas explosion linked to an apparent attempted suicide tore through an apartment building in the eastern French city of Dijon on Friday, injuring at least 14 people, authorities said. A local deputy prosecutor said the violent explosion was apparently caused by a man who used several gas cylinders in an attempt to take his own life for the second time this week. “We are in the presence of someone who had suicidal intentions, but at the same time also intended to take perhaps a lot of people with him,” Dijon deputy prosecutor Thierry Bas said on BFM television. Police and rescue officers had been to the man’s home and taken him to a hospital after he first tried to kill himself on Wednesday, Bas said. The man and another person were seriously injured in Friday’s explosion, while 12 others suffered lesser injuries, Bas said. 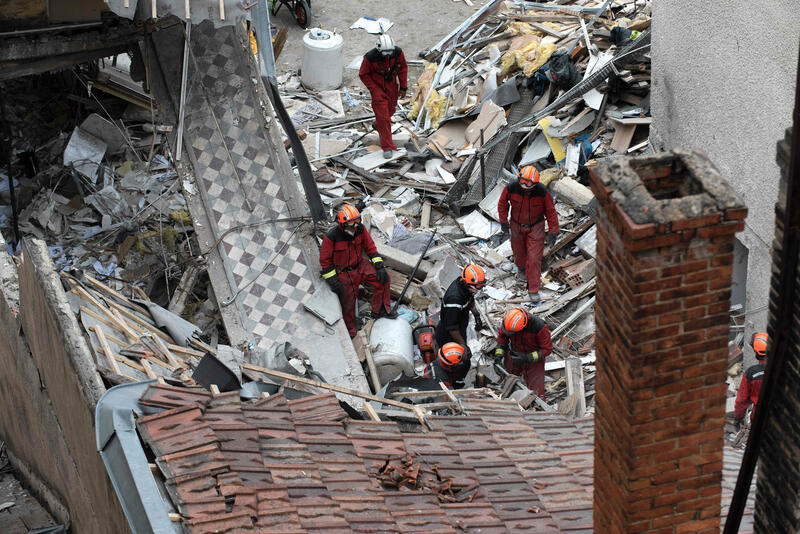 The explosion near a train station caused the three-story building with two-dozen apartments to collapse; however, authorities do not think any people are missing under the rubble.